Nate and I had some incredible friends over for dinner last night and this appetizer was a HIT with the girls. . . (Nate thinks that hummus tastes like dirt. . . cheap kind, really expensive kind, flavored kind. . . yes. . . all of it is DIRT) (Don't worry, he didn't go hungry. . . I made Queso Fresco with Roasted Garlic especially for him!) Since my husband is a hummus hater, I brought the leftovers to school and everyone loved it! Spread hummus around the bottom of a serving dish. Top with olive, red peppers, and cucumber. 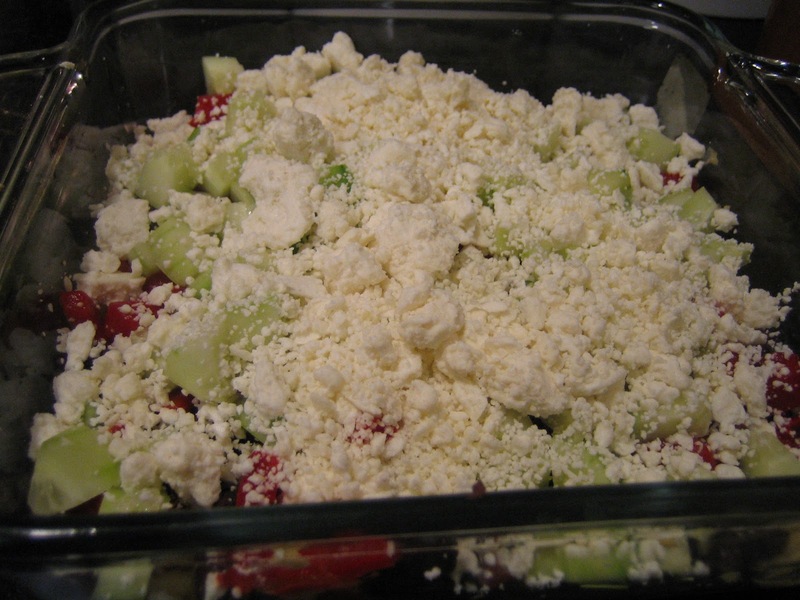 Sprinkle feta on top and refrigerate until ready to serve! oh my goodness, three of my favorite things in one dish: olives, hummus and feta. thanks for sharing and so glad i found your blog. 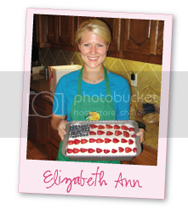 i'll be back for more great recipes!